Nowadays, many people are getting interested in making a lot of money on the internet. It is of course quite desirable to earn quick bucks by just sitting and working at the cozy corner of your home. But, remember there are enough scams too. Recently the most tempting schemes on the internet are Affiliate marketing or Pyramid schemes. One of such Multilevel marketing program is Big Profit System (BPS) that is running in the circles of network marketing. So if you`re here because you want to know what is Big Profit System I will try and answer your questions so you make an informed decision before you join. Big Profit System was founded in June 2012. 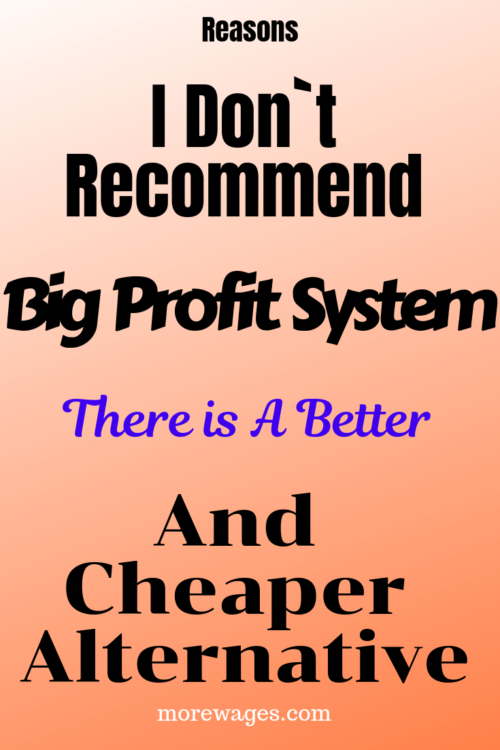 The Big Profit System provides marketing guides. It explains how to attract traffic to your website. It also provides training courses on social media guides and personal development. The training package differs depending on what package you purchase. The Big Profit System at the outset offers a good impression. But, it does not live to the promissory note it gives. There is not enough solid background information, and the company also doesn’t have a BBB (Better Business Bureau) listing. There are only videos and content that are merely a botch. Why does it call so? Simple. When you want to invest in a program, you need to first know who has started the company, and where it is located. But with this system, you will never get this most vital information as the owner and location are hidden. It`s like walking down the street and handing money to the first stranger you meet and hope they will give you back the profits. Even with the domain name, you will not get any details. With the domain name, you can see it was registered in 2012 and later updated in 2016. But, it does not offer required info of who the founder is or who the owner is. The terms and conditions are where you can find most of the information about the site and its owner. Again, absurdly this page says, the BPS videos contain the information. When you end up watching the BPS videos, they give only the promotion for marketing. When you want to make money through BPS, you will need to understand that throwing the membership fee in, doesn’t make sense. You need to pay more. This is a cash gifting system. You get access to the marketing system when you join the program. The postcards are sent to individuals on your behalf. They are enticed to view the site and the videos. So, when people join through you, you earn the commission. The commissions are sent back and forth to everyone. However, the membership fee of $280 of each person who joins is taken by the admin. If you think that you can make enough money by referring affiliates, think again. There may not be enough affiliates for you to make more money. Also, the program dies as soon as the affiliate turn out becomes dry as it usually does in MLMs. Also, understand that the cash gifting is not legal. This is also a risky way to make money. There are enough reasons why you cannot trust this program. This system is deceptive in the first place. Also, no one would like to be spammed. The system spams the email boxes of various people. The system claims it is easy to make money, even at the very beginning. Nowhere, earning $1000 as the system claims is that easy. If you need to obtain the high amount, you need to invest $20000, and again you need to make a sale. So, per sale $10000 is possible only when you throw in a considerable sum of money. The system works by rolling money up to different levels. Testimonials are a trusted way to find the authenticity of any organization. As the company does not provide the name of the owner and calls itself a private entity, testimonials are the only way out to know more about it. Unfortunately, the testimonials provided are fake. Many web reviews prove that the testimonies and the names of the persons are fabricated. Again, there are no real products that are sold here. All as the member of the BPS, just get the right to earn commission, which is again illegal. Only money is rolled from pocket to pocket, and from lower to upper levels. The promises of making $1000 to $10000 per week are again empty words. The statements that All Marketing is Done for You and All Sales are Closed for You, is again an outright lie. Who IsBig Profit System For? The system claims to provide internet marketing training. But with an MLM twist to it which recruits people and to have them buy into the system. This earns you a “big” commission. But what if you can`t recruit? BPS makes it sound simple. All you need to do is to refer anyone looking to make money online to BPS. After that their professional salesmen take it over and close the sale for you. Sounds easy but there is a catch…..
You ONLY receive the 50% commissions if the person you refer is at the same level as you or lower if you refer someone who invests in a higher level, you`ll not earn commissions, this is a way of pushing people to upgrade to the highest level to earn commissions. When you join BPS informs you clearly that if you do not have $1,280 minimum fee, you do not have to sign up. They are more interested in your money than helping you succeed. Is There A Better Alternative To Big Profit System? If you want to make honest money online, then check my earlier post on the number 1 work at home recommendation here. If you prefer to make quick money without doing much work online, you may want to check clixsense or this survey site. What is sold in Big Profit System? The answer is not anything. There is no line of product that BPS sells, or there is no product line the company offers. When it comes to MLM, the profit comes only when there is a range of products to be sold and by earning affiliates. BPS, on the other hand, boasts nothing for its product line. So what is that you need to market with the BPS? It is the cash gifting system. An uni-level system for organizing commissions is what this system is all about. There are 5 different membership plans for the BPS. They are $500, $1500, $3000, $6000 and $10000. When you recruit an affiliate, you will be able to get 100% commission on each member. However, for every level, there is also an affiliate fee of $280. Each level of Big Profit System offers a different package which contains different learning material and courses. The front end cost of each: $1000, $3000, $6000, $12,000, or $20,000. An additional $280 is added as the admin fee to each package you purchase!!! All the claims of the company show big and bold red flags. Is Big Level System a scam? there are too many red flags to ignore. This is not a reliable means to make money. The points listed under the “Cons” outline why this is fake. Do give a second thought when you want to invest in this Pyramid Scheme. Plus read the fine lines in their disclaimer, most of us do ignore the small print only to be disappointed. 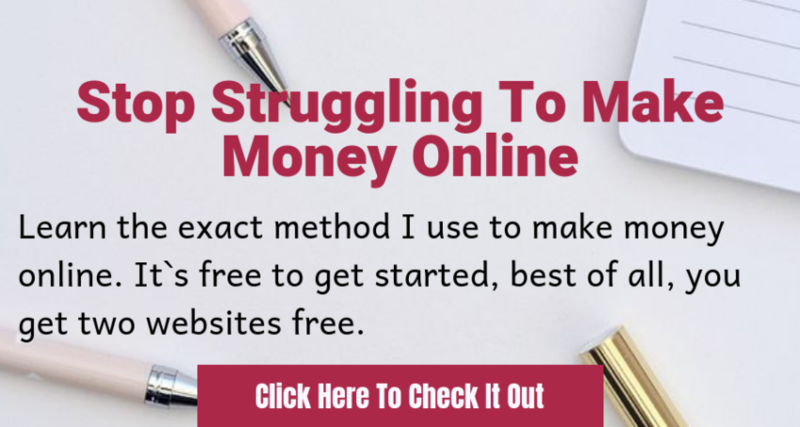 Now Not all is lost, check my #1 recommendation to making money online and best of all it`s free to get started so nothing to invest, you try things out and stay a free member if you choose to.